Shlomo Itzchaki (1040-1105) was born in Troyes, France, the only child of a rabbi. He began his Torah studies at age 5 under the tutelage of his father. 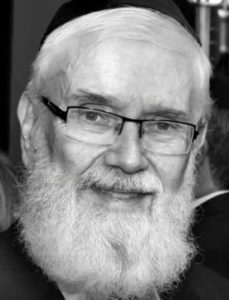 At 17, he married and moved to Worms, Germany to study at the yeshiva of Rabbi Yakar. 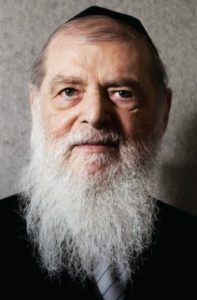 He later studied under several other rabbis, including his uncle, and the chief rabbi of Mainz. At 25, now himself a rabbi, Itzchaki returned to Troyes and was invited to serve on the town’s rabbinical court. Soon after, he took over as the head of the court, and the central authority on Jewish religious and legal matters. By 30, Rabbi Itzchaki had opened a yeshiva, which went on to become a centre of Torah study for countless Jews. 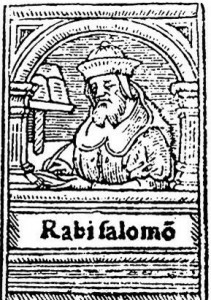 Undoubtedly, the Rabbi is most famous for his profound commentaries on the Bible and Talmud. These are included in just about every publication of the Bible and Talmud since the 1500’s. In these texts, he is referred to simply as “Rashi”, an acronym of his initials. Rashi’s commentary on the Five Books of Moses alone inspired over 300 future commentaries. Even the Christian world studied his texts (here, Rashi was sometimes referred to by his Latinized name, Isaacides). In fact, many Christian commentaries on the Bible are based on Rashi’s texts. One of the more famous ones, that of the monk Nicolas de Lyre, was so heavily drawn from Rashi that de Lyre was nicknamed “Rashi’s ape”. Nonetheless, it was de Lyre’s commentary that inspired Martin Luther, the father of Protestant Christianity, and Luther used this text to produce his famous translation of the Bible. 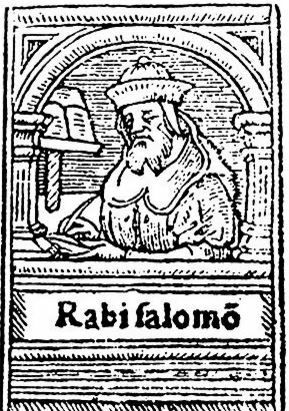 In addition to his commentaries, roughly 300 of Rashi’s other legal texts exist today. These texts are studied by linguistic scholars, too, who are looking to better understand both Hebrew and medieval French. According to tradition, Rashi also worked as a winemaker to support himself financially. He had three daughters who were scholars in their own right, with some suggesting that they completed a number of his unfinished commentaries, and possibly even donned tefillin. Rashi’s grandsons were some of the biggest rabbis of the following generation, including Rashbam and Rabbeinu Tam. Recently, an ancient map was discovered showing the location of Rashi’s grave. It happens to be under a public square in Troyes. A monument now stands over the site. This entry was posted in Religious Leaders, Writers & Thinkers and tagged Bible, Chumash, France, French Jews, Germany, Pentateuch, Rabbi, Rashi, Talmud, Torah, Troyes, Worms, Yeshiva on December 29, 2015 by Jew of the Week.